The Marshall Electronics IDX V-Mount Battery Adapter Plate supports IDX V-mount batteries, and is used with portable field monitors. 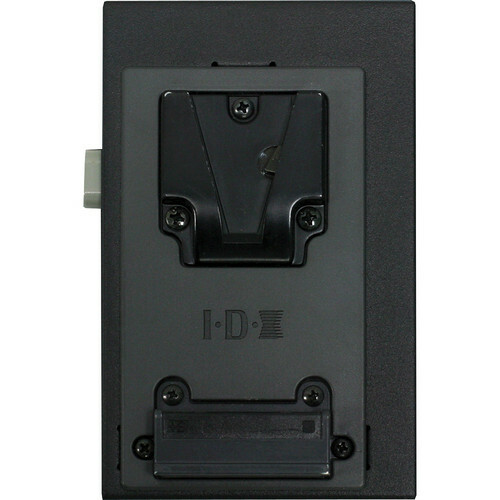 Box Dimensions (LxWxH) 4.8 x 4.2 x 1.1"
IDX V-Mount Battery Adapter Plate is rated 3.5 out of 5 by 2. Rated 2 out of 5 by bart from Poor Design I received this mount to attach to my Marshall Monitor. Unfortunately it did not come with screws that allowed this to happen. The screws provided did not even extend through the plate so there is no way to attach it to anything. This renders the product quite unusable. Rated 5 out of 5 by EminIbr from Fits perfectly I bought my Marshal monitor with the Panasonic battery mount. This V-Mount adapter is designed to perfectly fit the monitor and has a custom connector that is designed specifically for Marshal monitor.